There’s one Fargo Navy Week story that deserves to be told again. It’s Larry’s story, but more than that, it’s about everyone in Fargo-Moorhead who helps make this a friendly, inviting place. The people of Fargo-Moorhead made a huge impression on the Navy sailors who were in town August 8-14, but no one made more of a lasting impression than Larry Bosma and the table full of veterans at the Fryn’ Pan in Fargo. Early on August 10, Rear Admiral Mark Guadagnini gave interviews on two downtown radio stations. Afterward, he and the three sailors accompanying him were hungry. Since there was time before their editorial board meeting, they decided to walk from Broadway over to the Fryn’ Pan for breakfast. The Navy did a great deal of legwork leading up to Fargo Navy Week, but all the public relations in the world can’t compare to the positive impact of sailors walking down the street in their dress whites. People called out to the Navy men, stopped to shake their hands and thank them for their service and gave the thumbs up while driving by. At the restaurant, Guadagnini, Lt. Commander Frank Ryan, Lt. Chika Onyekanne and Mass Communication Specialist Pat Migliaccio were seated in a booth next to a table full of older fellows who obviously gather there regularly for breakfast and coffee. Many of them greeted the sailors, and Guadagnini went around the table to shake hands and give each man a few moments of his undivided attention. Most of the men had served at one time or another; while none had served in the Navy, several other branches were represented. After the Navy men placed their orders, some of the veterans from the other table drifted over in ones and twos to have a few more words with the rear admiral. One of them was introduced as a 94-year-old veteran of WWII who is still able to get around for coffee with the boys. A couple pulled pictures out of their wallets, images from their time in the service. Guadagnini, in turn, posed with them for new photos. The men from the adjacent table departed before the sailors finished their breakfasts. When Guadagnini asked for the checks, the waitress informed him that one of veterans had already paid the tab. The sailors were astonished, and as they walked toward The Forum’s offices they talked about the generosity of people in Fargo-Moorhead. Guadagnini told the story during radio interviews later in the week as an example of the welcome the Navy was receiving here. Turns out the man who paid the bill was Larry Bosma, owner of Bison Properties in Fargo. When Larry was contacted on behalf of the Navy, he downplayed his act of generosity. “It was nothing,” he said. “I figured those guys are out there paying every day, so it was my turn to pay for a little something.” But it wasn’t nothing to the men who were in town representing an entire branch of our military. It was an honor for me to help bring America’s Navy home for Fargo Navy Week by setting up events and handling media relations. But Larry and others like him reminded me what a privilege it is to live in such a hospitable, welcoming and supportive community. Thank you to everyone who participated in Fargo Navy Week by hosting an event, attending an event or covering an event. We should all be proud of the colors we showed to our men and women in blue and white. Written following Fargo Navy Week in 2011, for which I helped the Navy Office of Community Outreach with event planning and media relations. 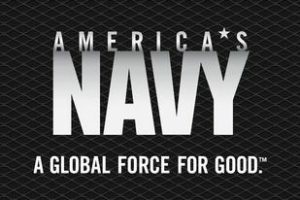 See the U.S. Navy page on this website for more information about the event planning and media relations Fredricks Communications provided.